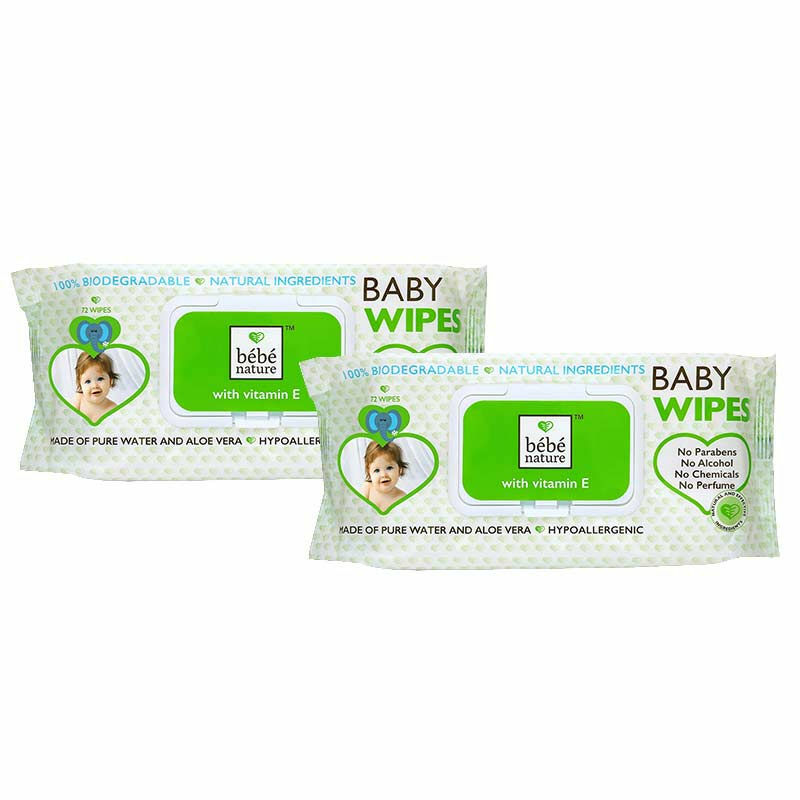 Made with 98 percent pure water, aloe vera extract and lily essential oil, Bebe Nature's biodegradable wipes are perfect for your baby. These wipes are hypoallergenic, hence, it gently soothes, calms and cleans your baby's sensitive skin. They prevent diaper rash and calm itchy and irritable skin. They are made from renewable plant-based material so eco-conscious parents can heave a sigh of relief. About the Brand:Created by a community of mums, Bebe Nature prides itself in providing the parents across the globe with environment-friendly baby products. These products are 100 percent natural, chemical-free, safe and highly effective. Made out of highest quality natural ingredients, Bebe Nature's products ensure that your baby's delicate skin remains protected and cared for. They combine natural ingredients with old traditions and latest formulated recipes to provide you with exactly what you want - be it cleansing, moisturising or protecting your babyA s delicate skin!